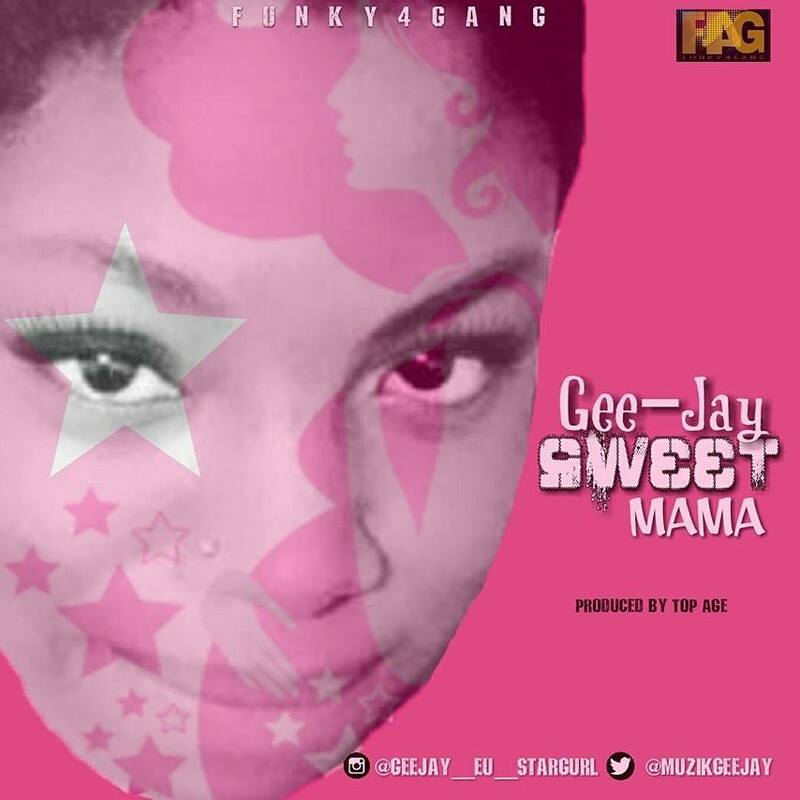 Legendary Ugandan singer, Jose Chameleone has finally released the video of his hit song, “Sweet Banana”, whose audio hit the airwaves in December 2016. This video release comes at a time when the Leone Island singer is preparing for his 2017 concert dubbed “Hit After Hit Concert”, which will be held at Lugogo Cricket Oval on Friday, May 19, 2017. 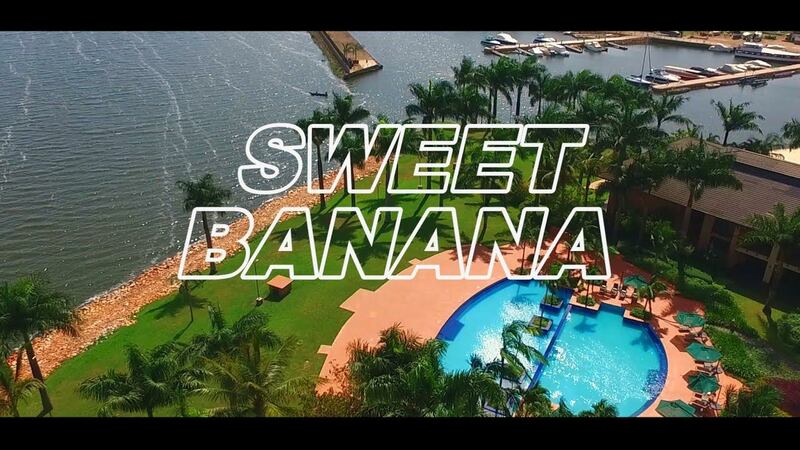 Chameleone’s “Sweet Banana”, which was produced by popular Ugandan audio music producer, Producer Kays, has become a huge club banger, receiving massive airplay on radio stations as well as night clubs and bars. Its video was directed by Jim Resley. 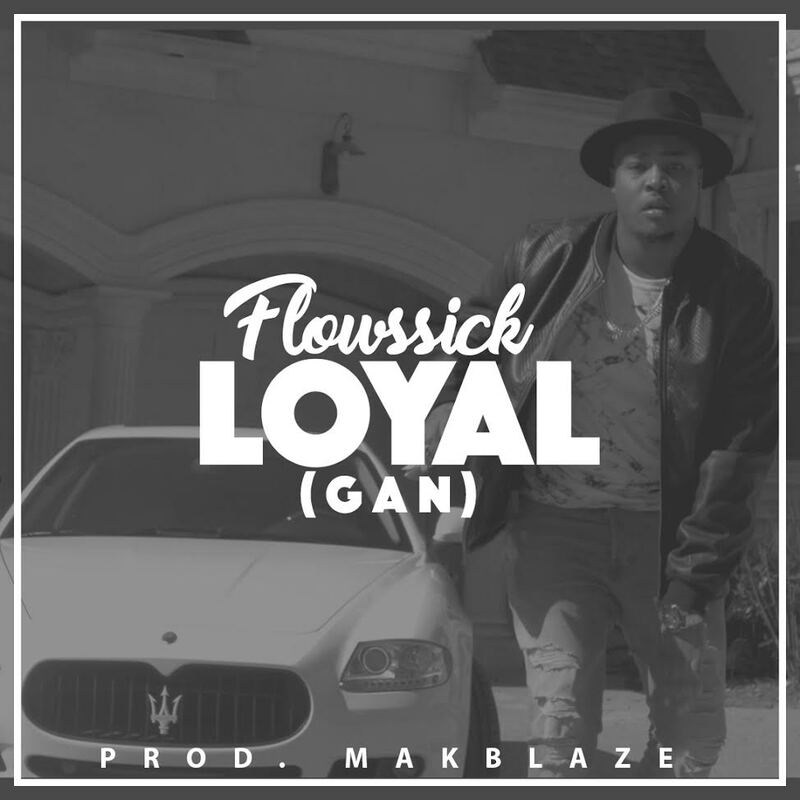 Flowssick returns to the music scene with a new track &Visuals to his track “LOYAL” . This is not an oficial single but a buzz single. Flowssick hasn’t dropped anything in five (5) years . He has an E.P coming out later this year. The video was shot in Atlanta by HD Genesis and produced by Makblaze. Here is the official music video for Funbi’s critically acclaimed debut single “Hallelujah” . 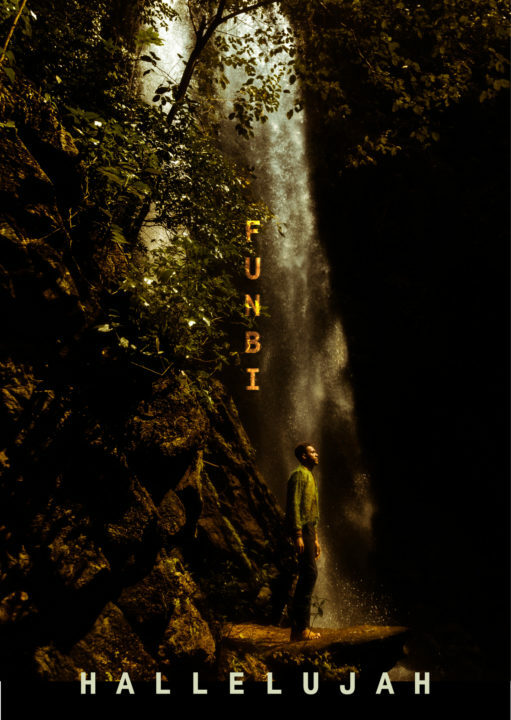 “Nigerian emerging Afro-funk artist Funbi releases the much-awaited video to his debut single Hallelujah. 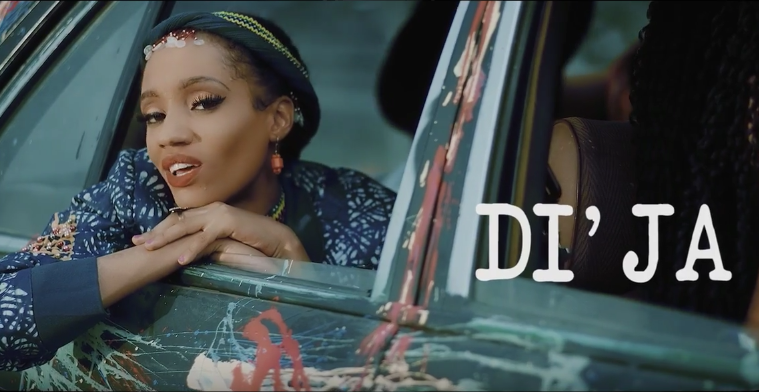 Mavins’s songstress Di’Ja was gone for a while but has returned with all guns blazing. Having released ‘Sowemo’ 8weeks ago, the beautiful mama-bear has just put out a new single ‘Air’. Air is a beautiful soft-rock piece with easy to flow with pidgin and English lyrics that’ll connect with any sort of crowd. 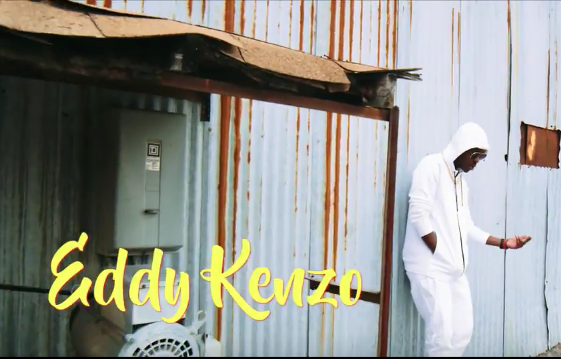 Ugandan sensation Eddy Kenzo teams up with Jamaican-American song bird, Alaine for this new song titled Addicted.The video was directed by Nigerian Director Patrick Elis. Fashion Model, Hanne Gaby Odiele, has revealed that she is intersex. This means that she was born with a reproductive or sexual anatomy that doesn't seem to fit the typical definitions of female or male. The fashion star revealed the anguish she had to live through while growing up due to her condition and she is teaming up with InterACT Advocates for Intersex Youth with the hopes of giving a voice to others like her who have to spend their lives hiding. 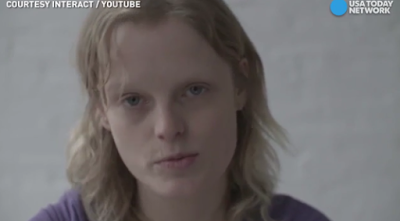 The 29-year-old made a startling revelation, that there are as many intersex people in the world as there are redheads, that is 1.7% of the world's population are intersex and that anyone could be born with the condition. Hanne was born with internal, undescended testes and had to undergo surgery at age 10 to have her testicles removed because her parents were wrongly informed that if left, she could have cancer and may not develop as a normal female child. After the surgery, she knew she could not have kids and was not having her period, but she was too young to understand her condition. She also endured another surgery at the age of 18, this time it was a vaginal reconstructive surgery. Both surgeries were referred to by Hanne as being "unnecessary and irreversible". “I am proud to be intersex,” she says, “but very angry that these surgeries are still happening.”Odiele aims to spotlight medical procedures intersex children have to endure without their consent in a misguided effort to make a child appear more typically male or female. She is advocating for intersex people to be left to be as they came into the world. 50-year-old Kimberly Zieselman, Executive Director of interACT Advocates for Intersex Youth, suffered an experience similar to Odiele's.When she was 15 her parents were advised by an oncologist that she had a partially formed uterus and ovaries and that they needed to be removed to avoid the risk of them becoming cancerous. When Kimberly clocked 40 and started to have hernia problems, she was surprised to discover that the surgery she had at 15 removed internal, undescended testes and that she never has a uterus or ovaries to start with. It was then she discovered that she was intersex. Though hundreds of people are intersex, there are still lots of misconceptions about intersex people. An intersex individual can be straight, gay, lesbian, bisexual... They can marry, as is the case of Odiele and Kimberly, and they can lead a normal life if people are well educated about this condition. Odiele's husband, John Swiatek, is also a model and he reveals that he is happy and proud of his wife for speaking up. 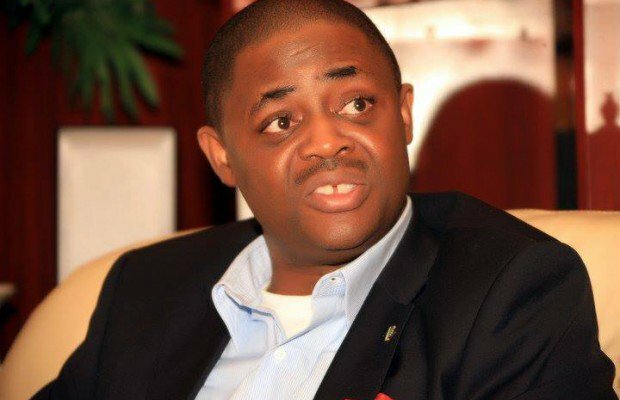 This is an article written by Femi Fani Kayode Jnr. Please read on. 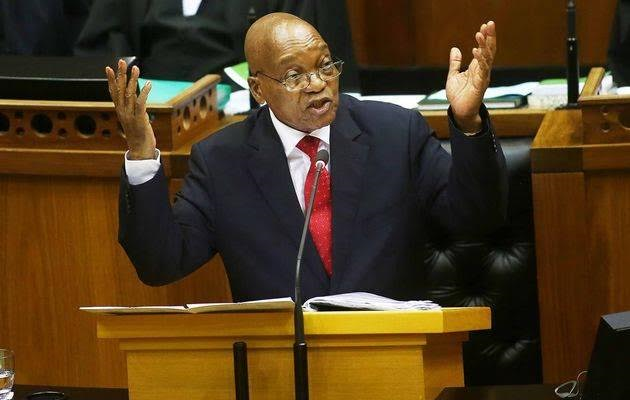 "Not a single soul has been prosecuted, let alone jailed for the genocide in Southern Kaduna and you are blaming someone for preaching self defense? You are INSANE. Yes, INSANE"- Olufemi Korode, Twitter, 24th January 2017. ''The greatest challenge to peace in Kaduna State now is the antics of political jobbers and opportunists who have gone as low as spreading hate speeches; telling communities in Kaduna State to “defend themselves.” This, of course, is an unmistakable call on the people of Kaduna State to procure arms and ammunitions and start killing themselves. This is not just very low but extremely dangerous. This call on the citizenry to take the laws into their own hands totally undermines all on-going efforts to achieve lasting peace in Kaduna State. 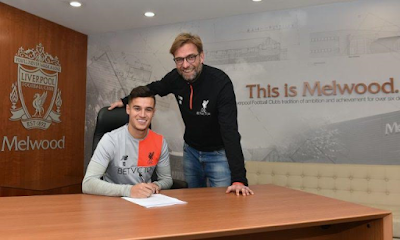 ''These are strong words from the dwarf who appears to be expressing the frustration, angst and cold rage of his employer, the Chief Midget. Is that how to get back to the glorious days of Abubakar 'Dangiwa' Umar, Ahmed Makarfi and Patrick Yakowa when Kaduna state was presided over by men of substance and character. Is that the way to get back to the days when Kaduna state was blessed with kind and compassiomate governors who were balanced, mature, sensitive, caring, gentle, cosmopolitan, inclusive and fair to all regardless of faith, tribe or ethnic nationality? The dwarf spoke of "political jobbers" and "oppprtunists". One wonders just who they are? Again one wonders precisely what the "ongoing efforts to achieve lasting peace in Kaduna" that he mentioned are given the fact that his boss the midget does not appear to give a damn about the fact that thousands of innocent and defenceless people, including women and children, have been butchered during his watch and right under his nose. For example is it true that it was he that fingered Sheik Ibrahim El Zak Zaky, the Shiite leader, by phoning him and ascertaining his whereabouts for the military before they tracked him down, shelled, shot and murdered hundreds of his people in the sanctity of their homes and proceeded to shoot him and his gentle Yoruba wife in the eye and stomach before whisking them both away. One wonders why he, a Sunni Muslim, hates the Shiite so much? One wonders why he has been tormenting, arresting, persecuting, outlawing, proscribing and locking them up ever since their leaders arrest even though they have never sought to harm or attack anyone? For example in his essay the midget's dwarf went even further by saying that "a Yoruba ex- Minister who should know better" and who is "being sponsored" held a series of meetings in his Abuja home with various delegations from Southern Kaduna where they planned how to effect "a violent attack on others" in Kaduna state. For this counsel I have no apology. If it gives the midget governnor and his little dwarf sleepless nights that the people of Southern Kaduna will no longer sit back and allow their loved ones to be slaughtered by their Fulani friends and kinsmen that is their problem. For all I care they can go and hug a transformer or jump in the lagoon. (TO BE CONTINUED). South African president, Jacob Zuma has urged parents to spend more time with their children by reading to them to improve literacy in the country. The president who is pleased with the progress the education sector has achieved so far in curbing illiteracy, also pleaded with parents to monitor the time their children spend in watching television. 'Parents should control the time spent by children watching television‚ so that it does not affect their school work. We must do more to improve learner outcomes in mathematics‚ physical science‚ accounting and languages. Actress Scarlett Johansson and her French husband, Romain Dauriac, have split after only 2 years of marriage. Scarlett Johansson attended Saturday's women march where she was seen without her wedding ring. An insider confirmed to PEOPLE magazine and TMZ that the coupe have been separated since the summer. The 32-year-old actress and her art collector husband who kept their relationship private, secretly wed in 2014 shortly after welcoming their daughter, Rose Dorothy Dauriac. “I love his brain more than anything,” she said. And “he does all the sweet gestures for me. He’s a gentleman.”Despite their split, the two will remain business partners since they co-own a popcorn brand 'Yummy Pop' at the famed Theatre du Gymnase in Paris, which they opened in December. 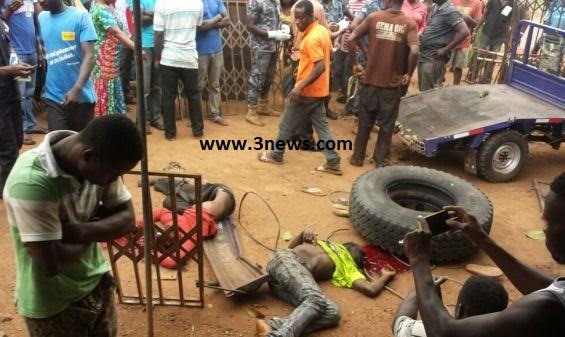 Two Ghanaians have been confirmed dead after a tyre they were fixing exploded at Hwidiem in the Asante Akyem North District of Ashanti Region on Tuesday. The deceased persons, a steel welder and a tricycle rider died on the spot. While two other persons who were standing close-by the scene of the accident also suffered injuries from the explosion. According to the Agogo Police, the welder with the assistance of the motorbike rider ignored the safety precaution of deflating the tyre before working on it. Few minutes later, the tyre exploded and chopped off the head of the steel welder and also mutilated that of the motorbike rider beyond recognition. The two other persons at the scene of the accident, a 14-year-old boy, and a 30-year old man are currently responding to treatment at the Agogo Presbyterian Hospital. 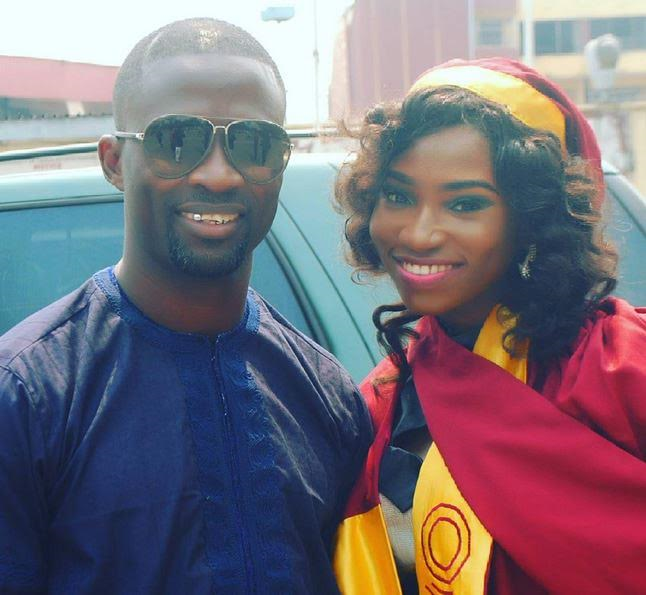 Fuji star, Alao Malaika joined several other parents at the 2017 convocation ceremony in Unilag to celebrate their kids success.For Malaika, it was his first child, Alimotu Sadiat Labake Adekunle Saka who graduated from the Department of Insurance at the University of Lagos. 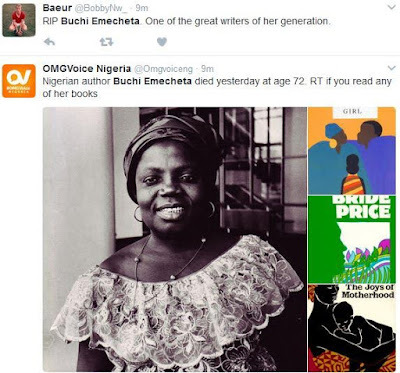 Another photo after the cut..
Nigerian author, writer and Novelist, Florence Onyebuchi “Buchi” Emecheta has died. 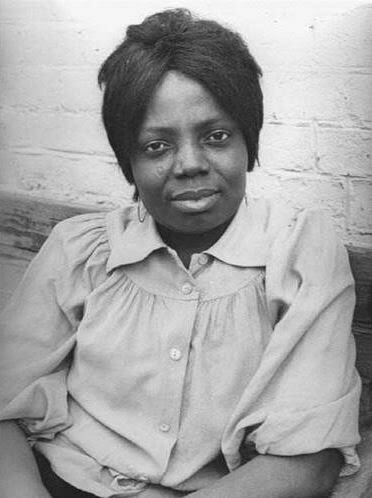 Late Emecheta is a best selling author of over 20 books including, “The Joys of Motherhood”, Second-Class Citizen, The Bride Price, and many more.The Slave Girl. She died on Wednesday, January 25, 2017 in London, England where she's lived most of her life. Confirming her death, 'the current president of Association of Nigerian Authors, ANA, Denja Abdullahi said the death was a big loss to the Nigerian literary world. Abdullahi said Emecheta would forever be remembered for championing the agenda of the girl child through her works. “We have lost a rare gem in this field. Her works would forever live to speak for her. It is a sad loss to our circle and we pray that God would give the family the fortitude to bear the loss. She was known for championing the female gender and we would forever miss her,” he said. 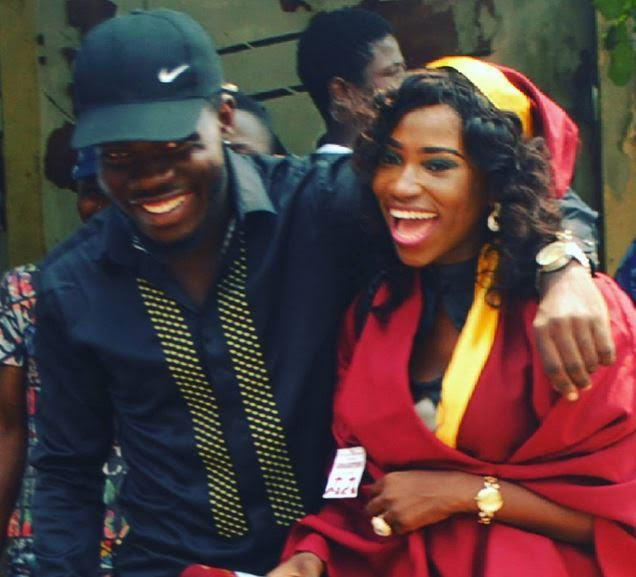 Buchi is currently trending on social media with tributes pouring in from her fans and well wishers.